Use this as an all-natural bed linen spray, air freshener and car air freshener. 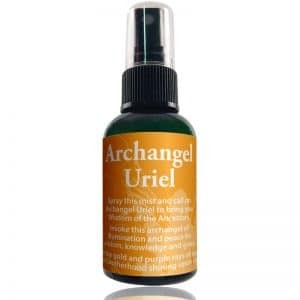 This aromatherapy spray is beneficial for allergy and asthma sufferers. 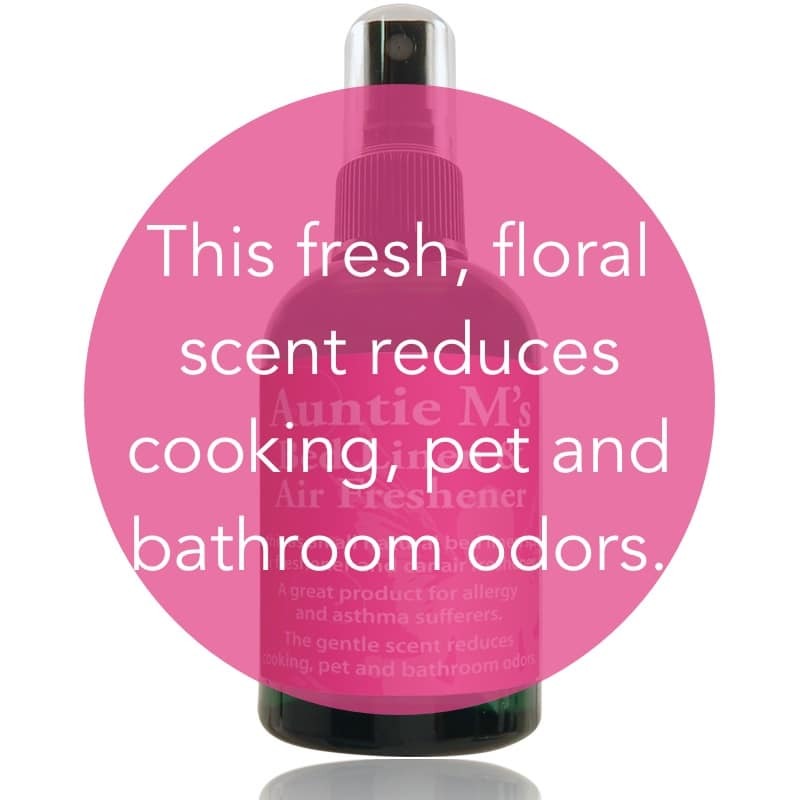 The gentle scent reduces cooking, pet and bathroom odors. A yummilicious scent for the bathroom. Spray a little before you go and another spritz after you go. This combination of essential oils also works on the mental and emotional level as well as the physical level to bring joy and happiness to the home, bedroom, and anywhere you spray it! Auntie M is Margaret Ann Lembo, award winning aromatherapist and author. A yummilicious scent for the bathroom. Spray a little before you go and another spritz after you go. This combination of essential oils also works on the mental and emotional level as well as the physical level to bring joy and happiness to the home, bedroom, and anywhere you spray it! 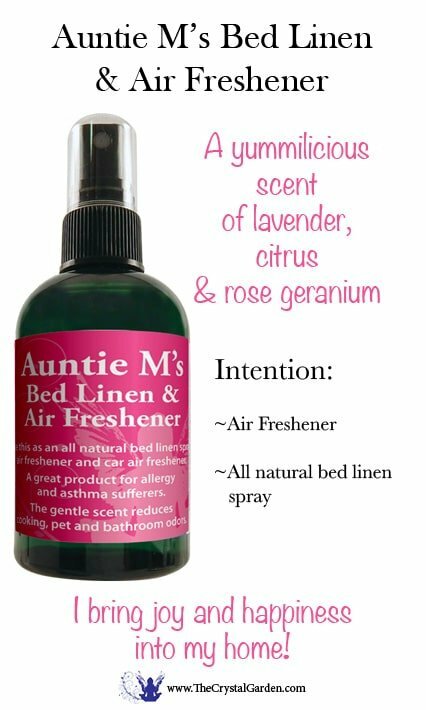 An all natural air freshener and bed linen spray. Ingredients: Water; Proprietary Blend of Medical Grade Oils. Use it as a natural replacement product for antibacterial purposes. The Crystal Garden is located in Boynton Beach, FL – close to West Palm Beach, Boca Raton, Delray Beach, and Fort Lauderdale.